Birk’s silicone rubber heaters are rugged, flexible and chemical-resistant. Our rugged flexible heaters can be combined with many components. Thermostats, fuses, thermocouples, RTDs, thermistors, connectors, heat sinks, wiring harnesses, motors and any other desired hardware are available upon request. 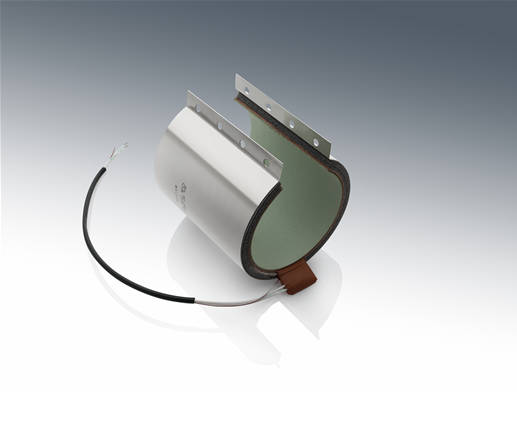 Birk manufactures both resistance-wire and etched-foil circuits in our silicone rubber heaters. There are advantages to both circuit types. Resistance wire is more robust in dynamic applications that require a silicone heater, and foil circuits are a perfect match for applications requiring extremely even heat distribution. 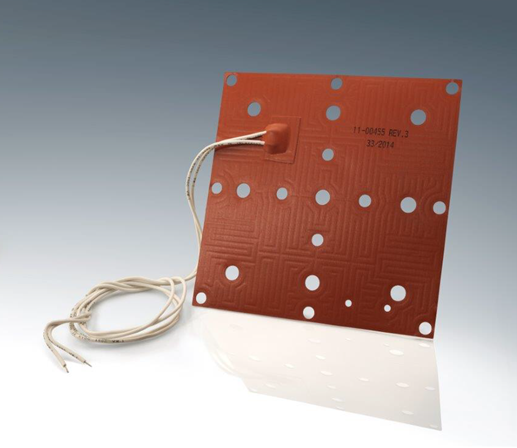 Wire-round silicone heaters and etched-foil silicone rubber heaters can be designed with varying watt densities, dual voltages and multiple heated zones. In order to successfully achieve the most efficient heat transfer, custom flexible silicone heaters can be vulcanized to metal surfaces. The proprietary processes Birk has developed for vulcanization can ensure superior bonding between surfaces and silicone heaters. Through our commitment to quality and advanced development technologies, Birk continues to be recognized as one of the leading manufacturers of silicone rubber heaters in the world.